Previous Visits: Before the days of blogging! 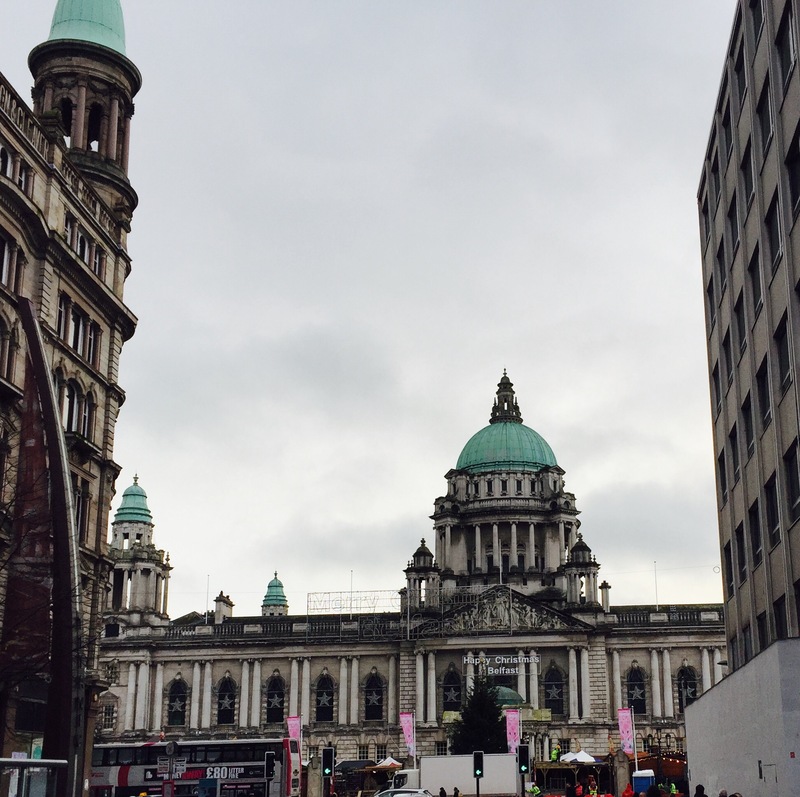 I’d visited Belfast three times before, back in the day when blogging wasn’t even a word. I always found it a friendly city, steeped in history, the good and the sobering. 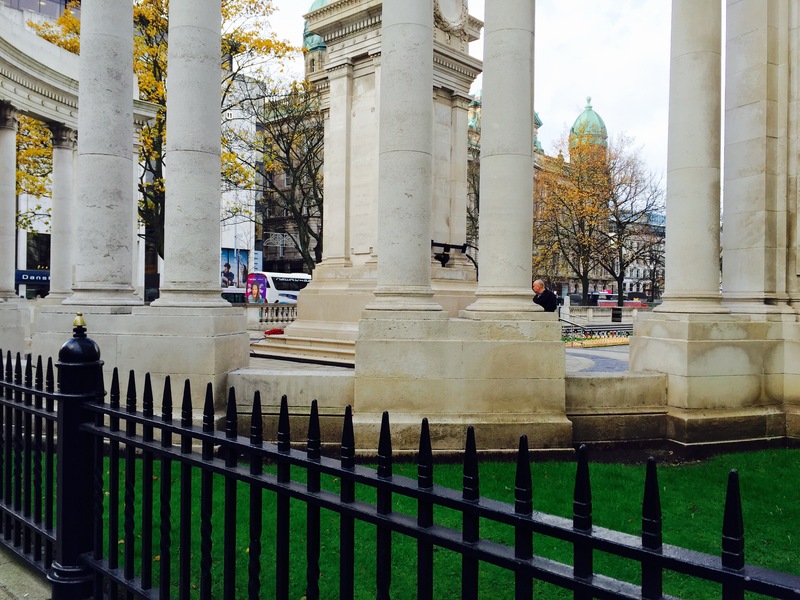 On these previous visits, having my friend John as a local tour guide, certainly helped to see the city’s sites. From watching a Linfield football match, to taking the Shankill Tour bus to the heart of the city’s troubled past. This West Belfast area has murials smothering the sides of terraced houses, reflecting its political history. I’ve also attended a wedding in the city, of the said tour guide, as well as celebrating New Years Eve with friends back in 2005. I had explored some areas outside of the city on these previous trips. Johns wedding reception was up in the beautiful Galgorm hotel in Ballymenia, and I’d spent a few nights in Port Rush on a visit to Giant Causeway. Although we didn’t get to see much of the sites the weather was that bad! Anyway, time to turn to this years visit. I was accompanied on this trip by two friends from Leeds, Mark and Andrew. Mark is originally from Larne, a costal town just over 20 miles North East of the city. This was to be our base for 3 nights but as we were flying into Belfast, we decided to spend the day there. Feeling peckish after our flight, this was our first stop in Belfast for lunch. 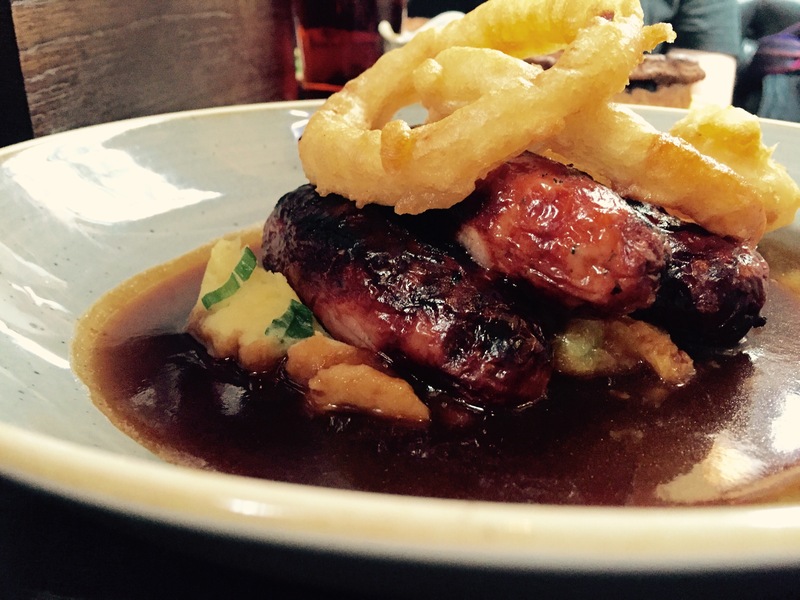 I went for the Sausage & Champ (creamy Mash Potato with Spring Onion), which came with Onion Rings and lashings of Gravy. It was good. Mark and Andrew both had the Guinness Pie. 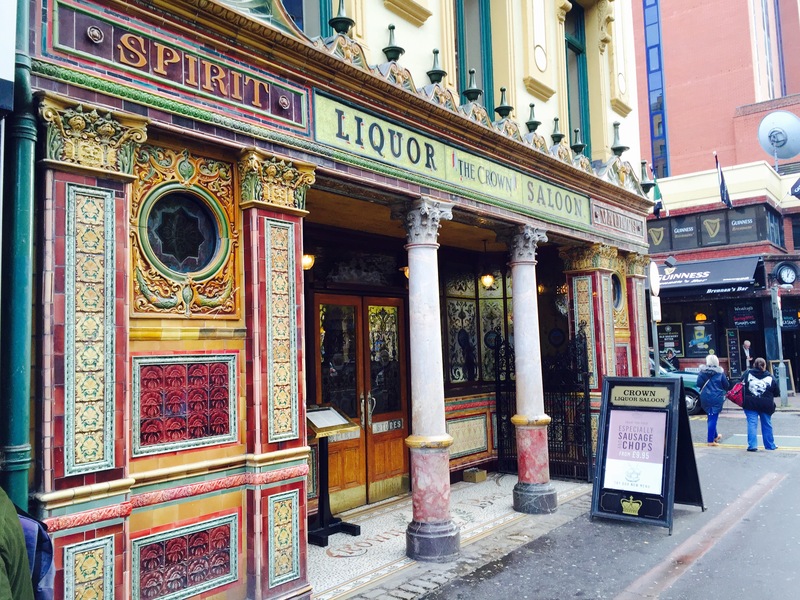 With much of its original features intact, Belfast’s oldest and most famous pub was definitely worth another visit. 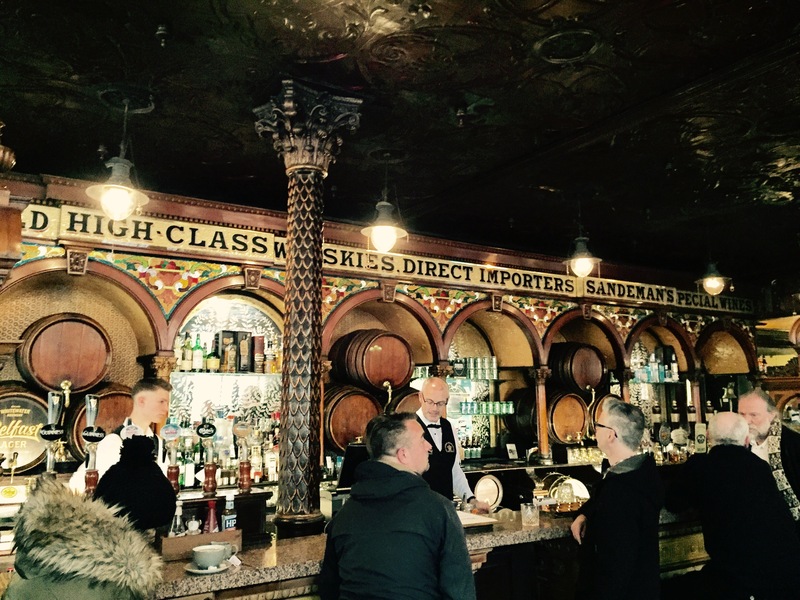 With its atmospheric setting, period gas lighting and cosy snugs, this place is oozing character. You do very much feel as though you’re stepping back in time. After lunch we walked around the city taking in some of the below sites. Memorial Gardens at the side of the Town Hall. 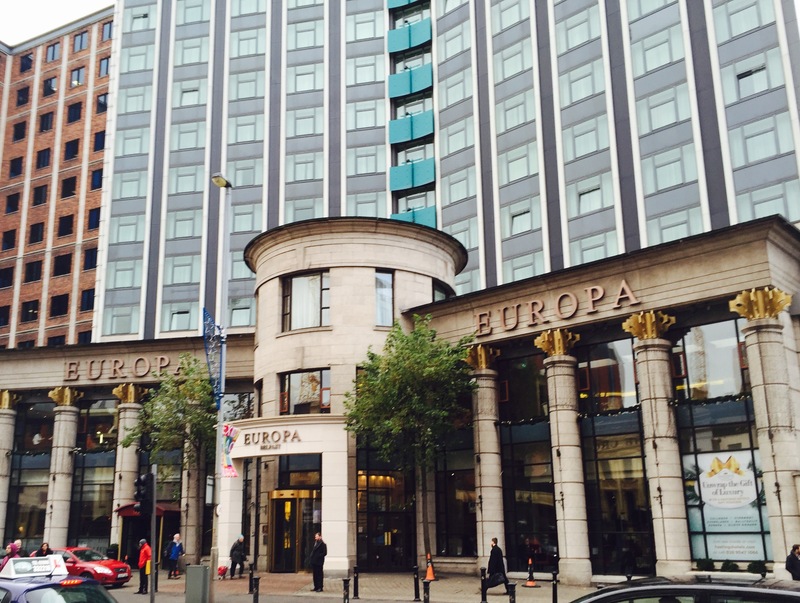 The Europa, Europes most bombed hotel, popular with politicians and journalists, was targeted 36 times during the troubles. It was time for a cocktail, we were on holiday after all! 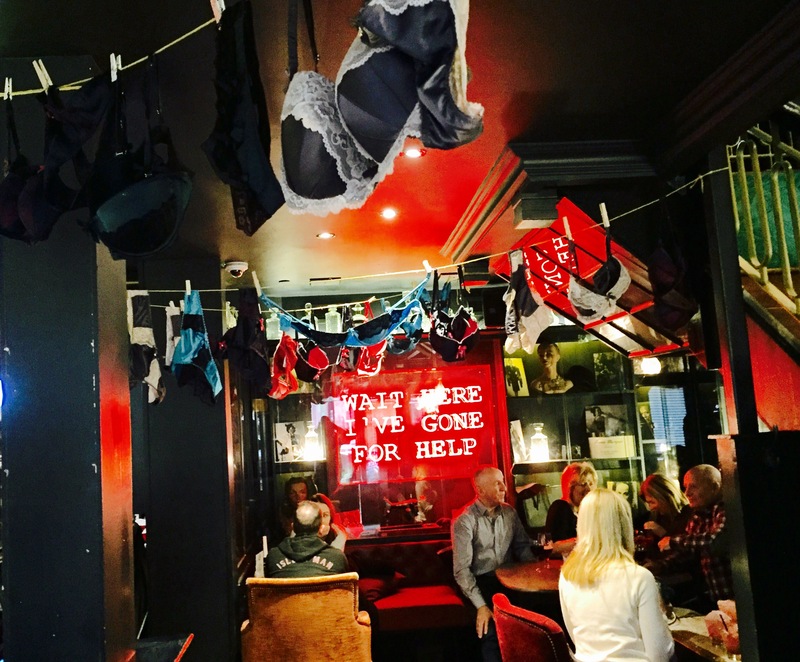 On Marks recommendation we went to Muriel’s, a cool, laid back bar, with dozens of pairs of bras and knickers hanging from the ceiling! I had a Rhubarb & Ginger Gin. 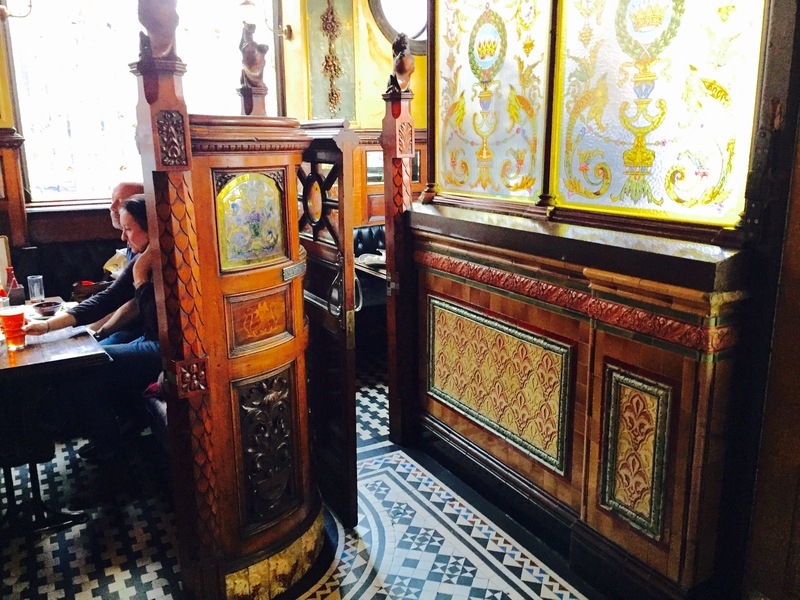 This was the kind of place you could easily spend an afternoon. We were resilient though and just stayed for the one! Our final visit that afternoon was to the Titanic Museum (http://titanicbelfast.com), which was just a short walk from the city centre. 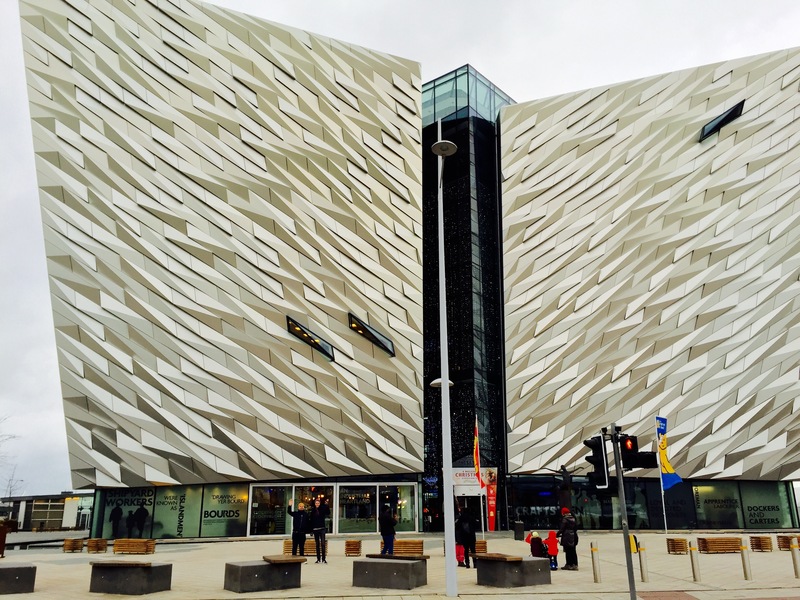 It’s a modernly designed building, built on the exact site where the Titanic was. It only opened last year, and has already been named one of Europes best tourist attractions. At a cost of £17.50 for Adults and £7.25 for Children, you could spend the whole day here there is that much to see. 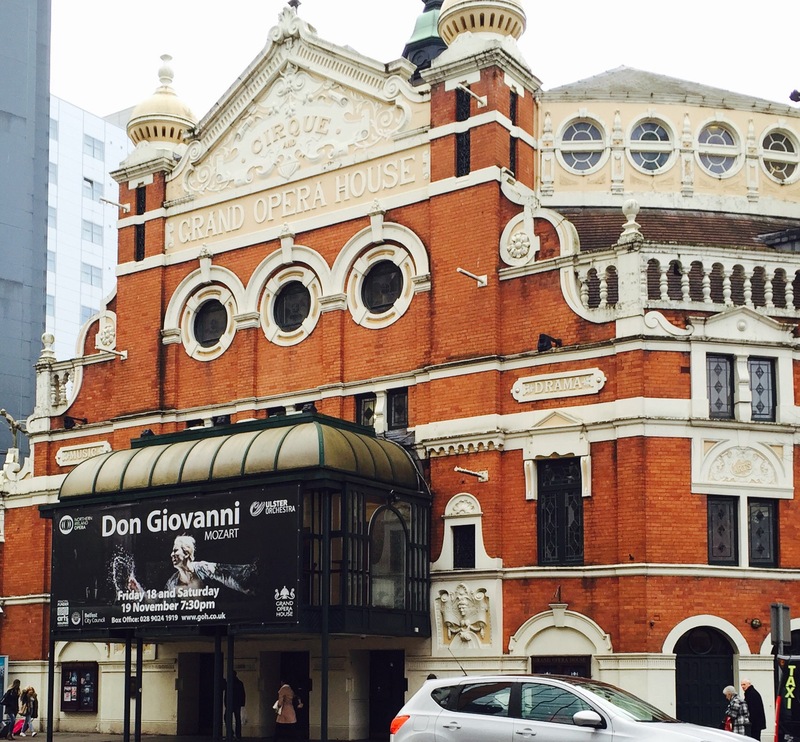 The tour took you from the industry of 1800’s Belfast, to the building of the ship, through to those people who took that fatal trip, and the aftermath. The museum is very interactive and even had a cable car ride in it. From here we were picked up by Marks family, taking the 20 minute car journey up to rural Kilwaughter, situated just outside Larne town on the North East Coast. To be continued….